Despite the lack of port facilities in the Philippines, a total of 117 port calls are expected this year, which is significantly higher than the 72 port calls it acquired in the same period in 2016. Department of Tourism (DOT) Market Development Group director Maria Jorda-Apo said this is because of the Asia Cruise Cooperation (ACC) between Hong Kong and Taiwan, which the Philippines, and China’s Xiamen and Hainan eventually joined. “ACC is an alliance between five destinations and ports -- Hong Kong and Taiwan as founders and eventually Philippines, Xiamen, China and Hainan, China,” Apo said on the sidelines of a presser in Hong Kong. “The Jewel of the South China Sea is a testimony of that alliance,” she added, referring to the first homeport deployment of Star Cruises’ Superstar Virgo cruise in Manila. The 13-story Superstar Virgo began its six-day, five-night cruise from Manila on Sunday (March 19), continuing its journey to Laoag, Kaohsiung, and Hong Kong before returning to Manila on Friday (March 24). Under the ACC, Apo said member alliances are supposed to give a marketing incentive to any cruise line, which means they can use their advertising so long as they feature at least two destinations of a member alliance. Apo said Superstar Virgo alone has made 30 port calls in the Philippines -- 15 in Manila and 15 in Ilocos Norte. She said this is only the beginning since more of Star Cruises’ line of ships are also planning to deploy their ships to the Philippines. “They’re still collaborating with us for the future deployment of their other ships. Next year, they may bring other ships. Superstar Virgo is a test run for future regular deployment,” Apo said. 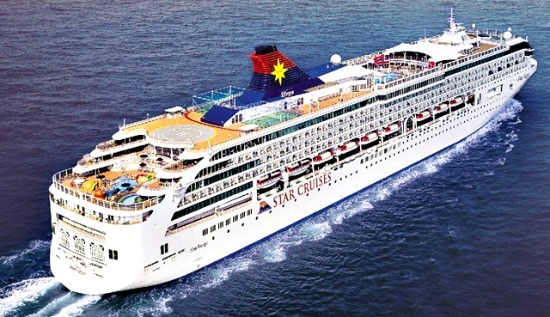 Star Cruises president Ang Moo Lim said Superstar Virgo will return in December to do a five-month sailing. He did not specify which destination the port calls will be made. ”We always like to tell business partners that a homeport is only strong if you have strong neighbors. This is an effort we are trying to do today. We believe this is a milestone in Asian cruise industry,” Lim said. Apo also said that the fourth largest cruise line in the world, the Mediterranean Shipping Company (MSC), has also signified its intent to deploy its ships to Philippine destinations not yet offered by other cruise lines. Meanwhile, Apo expressed hope that despite the lack of port facilities in the Philippines, a new international cruise terminal in Manila would be built before the end of the Duterte administration in 2022. In the meantime, she said the departments of tourism and transportation and the Philippine Port Authority are improving the regulation of cruise port procedure and port operation. “We’ve collaborated with the Bureau of Immigration, Bureau of Customs, Bureau of Quarantine to have a faster, more efficient way of doing the visa and stamping of passport of tourists who will come to Manila,” Apo said. Tourism Undersecretary Benito Bengzon Jr. earlier said the new international cruise terminal may be built via private or joint venture with government participation. Last year, the DOT rolled out a National Cruise Tourism Development Strategy (NCTD), which identifies the Turquoise Triangle that links Manila, Boracay and Puerto Princesa and other cruise destinations, to attract the interest of cruise lines.